Glens Falls National Bank and Trust Company is a local anchor. The sign shown in this photo is visible from our window, one side features the time, the other the temperature. 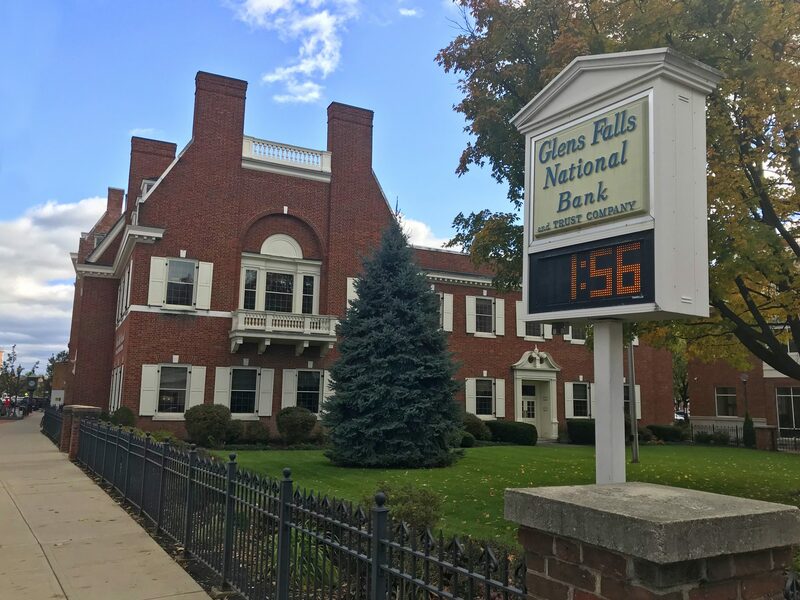 We often call out, “What’s the temp?” before heading out for lunch, the Glens Falls National Bank sign helps us know to bundle up accordingly. 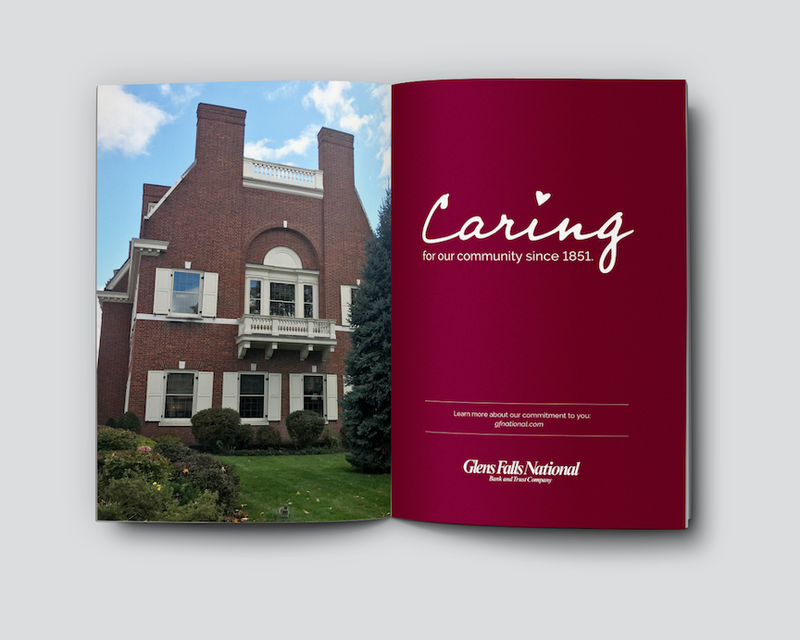 Glens Falls National Bank has been the place for people to go for mortgages, home equity, and car loans since before any of us, or our parents were born. Banking has changed a lot, continues to change, keeping pace is a dance. The majority of 2018 was spent delivering a message of commitment. As a society, we have become accustomed to immediate gratification. There’s no denying the joys of convenience, but playing the long game, we believe that driving home the idea of faces you can see, people you can literally turn to, and investments in the communities people live in can be a value-added benefit to local banking. 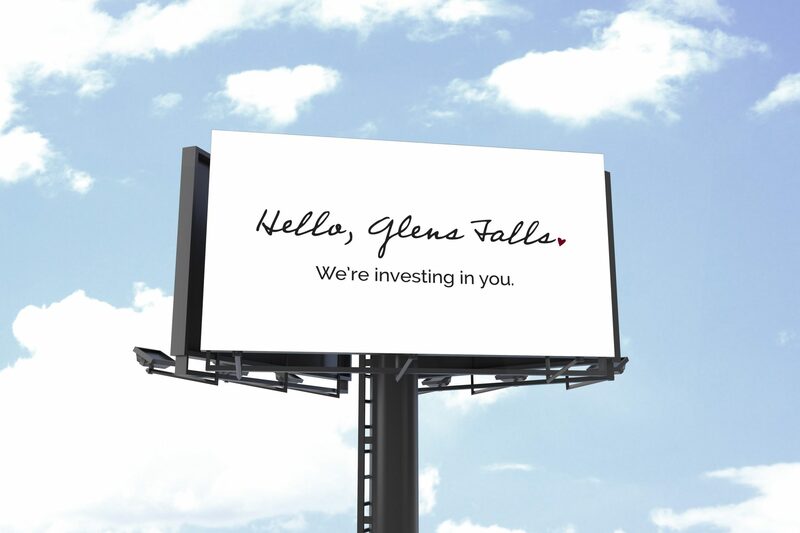 to billboards in communities across the region, Glens Falls National Bank reached out to its neighbors to let them know that in addition to helping members achieve financial goals, they are putting money back into the community. Traditional messages about products they offer also flashed across screens and traveled in envelopes, sending a message that Glens Falls National Bank cares about supporting your quality of life, at home and at the office. As we look over at that sign and think about how many people have checked the time or the temp over the years, we can’t help but feel proud to be part of a locally committed bank.